Photo 99999805 Scran 000-000-059-019 Photo published: Date given on Scran: Aug 18, 1957. Probably should be 1961. 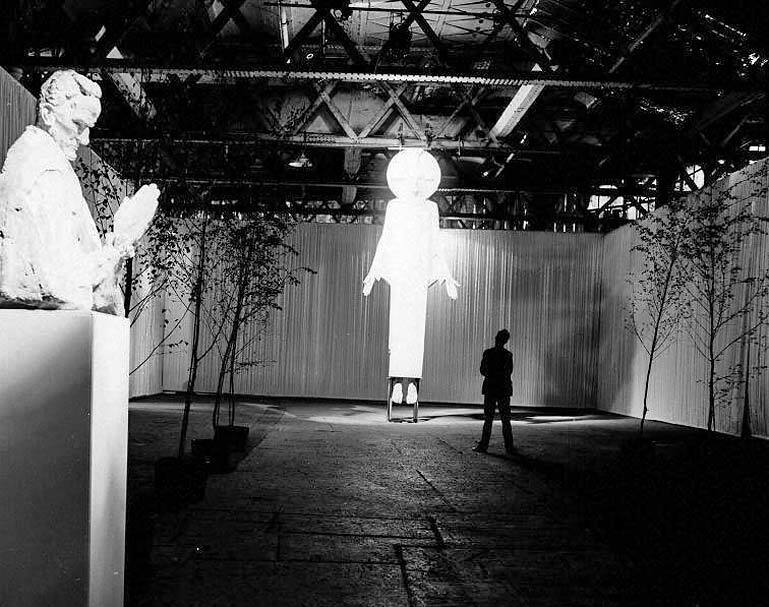 A Memorial Exhibition to Jacob Epstein (1880-1959) was held in Waverley Market in Edinburgh during the Edinburgh Festival, 1961. Above is a photo of 'Christ in Majesty' taken inside the exhibition. "The Epstein Exhibition was probably one of the most successful events ever in the lifetime of The Festival. Myself and some of my friends, not arty types in the slightest, were so impressed we went twice. On one of the times we saw Albert Finney who was appearing, if I remember rightly, at The Assembly Hall"